Neutrinos and their weird subatomic ways could help us understand high-energy particles, exploding stars and the origins of matter itself. A colorized image shows the tracks of neutrinos as they zoom into a chamber.Illustration based on Fermilab Bubble Chamber image. Why, after millions of years of steadily lighting the cold darkness, does a supergiant star suddenly explode in a blinding blaze of glory brighter than 100 billion stars? What exotic objects in deep space are firing out particles at by far the highest energies in the universe? And perhaps most mind-bending, why does the universe contain any matter at all? These mysteries have vexed astrophysicists and particle physicists for decades. The key to solving all three deep conundrums is itself one of the greatest enigmas of physics: the neutrino. The universe is awash in these peculiar, nearly massless, subatomic particles. Created in tremendous numbers right after the Big Bang, and constantly churned out in stars and other places by radioactive decay and other reactions, trillions of these ghostly particles sail right through stars and planets, including our own. Carrying no electrical charge, neutrinos are attracted neither to protons nor electrons, so they don’t interact with electromagnetic fields. They also don’t feel a powerful force that operates on tiny scales, known simply as the strong force, which binds protons and neutrons together in an atom’s nucleus. Neutrinos are more aloof than supermodels, rarely interacting meaningfully with one another or with anything else in the universe. Paradoxically, it is their disengaged quality that earns them a crucial role both in the workings of the universe and in revealing some of its greatest secrets. 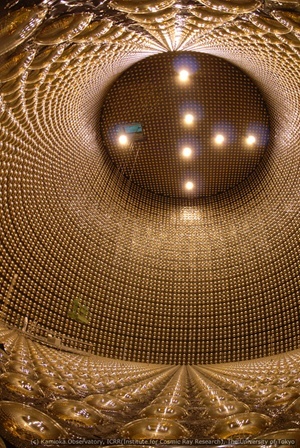 Neutrino physics is entering a golden age. As part of one experiment, neutrinos have recently opened a new window on high-energy sources in deep space, such as black holes spewing out particles in beams trillions of miles long. Another astronomy experiment deep underground in a Japanese mine will use neutrinos to learn the average temperature and energy of ancient supernovae to better understand their typical behavior. And physicists are using computer modeling to close in on the neutrino’s critical role in triggering the kind of supernovae that distribute essential elements like oxygen and nitrogen. Beyond expanding the role of neutrinos in astronomy and uncovering their role in astrophysics, physicists are still trying to discover some of the neutrino’s basic properties. Some researchers, for instance, are trying to pin down the particle’s possible masses.That fundamental information would influence theories that explain the masses of other particles. By determining yet another elusive fundamental property of neutrinos, researchers also hope to answer one of theoretical physics’s great riddles: why all the matter and antimatter created by the Big Bang didn’t cancel each other out and leave nothing but energy. At the dawn of the universe, for every particle of matter, such as an electron, there was an anti-electron; for every quark (a fundamental constituent of matter), there was an antiquark, explains physicist Chang Kee Jung of Stony Brook University. When these opposites meet, they should annihilate each other, creating pure energy. So why is any matter left? The most plausible solution, leading physicists like Jung say, hinges on the theory that today’s neutrinos, which have barely any mass, once had superheavy partners. These neutrino cousins, 100 trillion times more massive than a proton, formed in the tremendous heat that existed right after the Big Bang. They had the special androgynous ability to decay into either matter or antimatter counterparts. One such overweight particle might have decayed into a neutrino plus some other particle — like an electron, for instance — while another superheavy neutrino might have decayed into an antineutrino and another particle. For this theory to explain why matter exists, those early superheavy neutrinos would have had to decay more frequently into particles than antiparticles. Physicists at neutrino detectors such as NOvA in Minnesota, in addition to trying to determine the masses of the neutrino, are studying whether today’s lighter neutrinos switch from one type (or “flavor”) to another at a different rate than antineutrinos. The same theory that could explain this behavior in today’s light neutrinos could also explain the inclinations of superheavy neutrinos at the dawn of time. 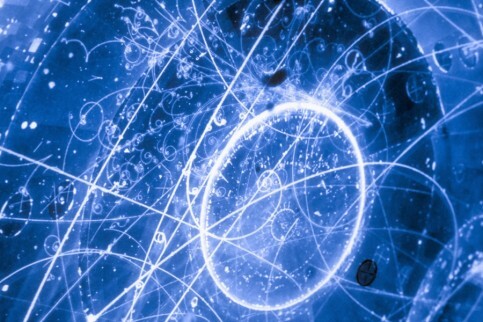 If the superheavy neutrino theory is correct, then these primordial particles are the “supreme ancestor” from which every particle in the cosmos descended. Neutrino-related discoveries have already earned three Nobel prizes, and the path-breaking experiments underway could well earn more tickets to Stockholm. The seemingly superfluous neutrino couldn’t be more essential to our understanding of the cosmos, or less concerned with its profound importance. Computers at the IceCube Laboratory at the Amundsen-Scott South Pole Station collect raw data and analyze results from the underground neutrino detector. Scientists who want to detect neutrinos must build their detectors deep underground or underwater to filter out the cosmic rays that constantly bombard Earth. (Neutrinos travel through matter, regardless of how dense.) Francis Halzen, a physicist at the University of Wisconsin-Madison, realized decades ago that Antarctica was an ideal spot because the ice was thick enough to bury thousands of light sensors more than a mile deep. When a neutrino chances to slam into an atomic nucleus in the ice, an electron or muon (a heavier cousin of the electron) is created, releasing a trace of light. That trace of light can be picked up by IceCube, an underground telescope and particle detector at the South Pole. Halzen is one of nearly 250 people involved with the project. In May 2012, IceCube physicists discovered the light footprints of two neutrinos with an incredible 1,000 times more energy than any neutrino ever detected before on Earth. Christened Bert and Ernie after the Sesame Street characters, they spurred IceCube scientists to re-examine the data at that energy level. Sure enough, they found 26 more high-energy neutrinos. When the scientists looked at more recent data through May 2013, they found nine more high-energy neutrinos, one of which had the energy of Bert and Ernie combined. “It’s named Big Bird, of course,” says Halzen. Some neutrinos almost certainly hail from beyond our galaxy, and they could help solve a century-old mystery on the source of incredibly high-energy cosmic rays. That source also is thought to produce high-energy neutrinos. Some possible scenarios: incredibly massive black holes erupting in jets of matter, galaxies colliding or star-producing factories known as starburst galaxies. Neutrinos are notorious shape-shifters. Each one is born as one of three types, or flavors — electron, muon and tau — but they can change flavor in a few thousandths of a second as they travel, as if they can’t make up their mind what to be. Neutrinos, like other subatomic particles, sometimes behave like waves. But as the neutrino travels, the flavor waves combine in different ways. Sometimes the combination forms what is mostly an electron neutrino and sometimes mostly a muon neutrino. Because neutrinos are quantum particles, and by definition weird, they are not one single flavor at a time, but rather always a mixture of flavors. On the very, very rare occasion that a neutrino interacts with another particle, if the reaction appears to produce an electron, then the neutrino was an electron flavor in its final moments; if it produces a muon, the neutrino was muon-flavored. It’s as if the shy neutrino’s identity crisis can only be resolved when it finally interacts with another particle. Physicists hope to use neutrinos’ strange shape-shifting behavior to unlock several mysteries. Scientists know the mass of every other fundamental particle, such as the electron, but the neutrino — at least a million times as light as the electron — is far more elusive because of its transformative ways. As far as scientists can tell, each neutrino is a combination of three masses, but they can’t learn that combination without taking a measurement. Two of those masses are likely to identify as electron neutrinos a significant portion of the time, and one mass only infrequently comes up as electron neutrino, says Messier. Physicists are not sure if the greatest, or heaviest, of the three masses is most likely to be an electron neutrino or least likely to be an electron neutrino. All matter has a mirror image, called antimatter. For an electron, which has a negative charge, the antimatter twin — the positron — is identical except that it has a positive charge. If matter meets antimatter, they destroy each other in a burst of energy. For each of the three flavors of neutrino, there is also a corresponding antineutrino called, sensibly enough, electron antineutrino, muon antineutrino and tau antineutrino. Because neutrinos are neutral, their antiparticles cannot have opposite charges. Instead, their “spin” is reversed. (Neutrinos are too small to really spin like a planet; the term spin refers to a property that is in some ways equivalent to spin.) Neutrinos are “left-handed” — they always spin to the left, relative to their direction of motion. Antineutrinos are “right-handed.” The eccentric Sicilian theorist Ettore Marjorana suggested that since neutrinos are neutral, they may be their own antiparticle — meaning that under certain circumstances, a neutrino could act like an antineutrino. If that were true, it would satisfy one necessary condition for the supreme ancestor neutrino theory that explains why we and all matter in the universe exist. If you apply the laws of physics to antimatter, everything works out the same, just reversed. A magnetic field would push on an electron and a positron with exactly the same force: For example, if the electron were pushed right, the positron would be pushed left. Physicists hope that neutrinos don’t necessarily follow this mirror effect, and that they may once again be the oddballs that lead to a new understanding of nature. In experiments in the U.S. and Japan, researchers are trying to determine if the metamorphosis of neutrinos into different flavors happens at a different rate than the antineutrino transformations. So rather than, say, a 10 percent chance of an electron neutrino turning into a muon neutrino, for example, physicists wonder if the odds are lower that an electron antineutrino turns into a muon antineutrino. They’ve seen precedents for such “asymmetrical” behavior in a few other particles, and certain theories predict that behavior in neutrinos. If neutrinos do indeed transform into other flavors at a different rate from antineutrinos, it’s likely that this matter/antimatter difference in neutrinos was present in their superheavy ancestors at the dawn of time, too. 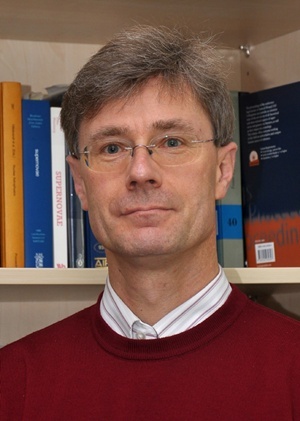 Astrophysicist Hans-Thomas Janka and his team use a bank of supercomputers to create 3-D models of the heat that builds in a neutrino-driven explosion of a star. Somewhere in the universe, at least once a second, a massive star goes supernova, blowing to smithereens with the intensity of an entire galaxy’s worth of shining stars. After 50 years of investigation, no one knows exactly why supernovae occur. But to astrophysicist Hans-Thomas Janka, it’s clear the neutrino is a major culprit in this mystery. Working from the Max Planck Institute for Astrophysics in Munich, Janka has enlisted dozens of the world’s most powerful computers on a decades-long quest to understand the incredibly complex mechanism of a supernova. Advances in computing power and physics have helped him build sophisticated models, spun from hundreds of thousands of lines of computer code, that capture the nuances of the stars’ shape while taking into account everything from stars’ rotation and nuclear reactions to Einstein’s theory of gravity. Now, for the first time, Janka’s latest models fully describe the behavior of neutrinos under the hellish conditions of a star’s demise. The bank of supercomputers at the Max Planck Institute for Astrophysics in Munich. In 1982, James Wilson of Lawrence Livermore National Laboratory first showed how neutrinos might trigger the explosion. Wilson knew that when a massive star burns up the last of its fuel after some 10 million years, its core rapidly implodes, pulling all of the star’s matter inward. The implosion begins to turn into an explosion, and a shock wave forms. But within a few thousandths of a second, it stops cold. Then something causes the shock wave to “revive” and trigger the explosion, leaving behind a dense neutron star. Through rudimentary computer modeling, Wilson discovered that that something was neutrinos, generated in copious amounts — on the order of 1 followed by 58 zeroes — when the electrons and protons in the core turn into neutrons. Because those neutrons are packed so tightly — a teaspoon would weigh 100 million tons — the neutrinos would get trapped there, bouncing off and interacting with the other particles (mostly neutrons, but some protons and electrons) trillions of times. The neutrinos would be delayed in the core only for a second, but Wilson suspected that enough heat would be generated to trigger the supernova explosion. Limited by the era’s computers and understanding of physics, Wilson’s model relied on simplifications — such as the star being a perfect sphere — and incorrect assumptions about the behavior of very dense matter and how neutrinos move from the core’s interior to the crucial outer parts where the heating of the shock wave occurs. The model did not work. Janka learned about Wilson’s model four years later, as a graduate student at Technical University Munich. He thought the theory sounded plausible and developed a new way to describe neutrino physics in supernovae, working on newly available $25 million supercomputers at the Max Planck Institute, one of the few places in Europe where the computers were available for unclassified research. Janka seemed to work nonstop, his ferocious drive coexisting with a persistent fear: Because he was one of only a handful working in what was then a limited field of study, Janka worried that by the time he completed his doctorate, he’d be a 30-something with few job prospects. That 1987 supernova confirmed the basic picture of a collapsed core of a massive star spewing an enormous blast of neutrinos. Janka eagerly started building computer models, but like Wilson, he had to assume the star was spherical, an oversimplification dictated by the high costs of computing power. When Janka ran the models, the star did not explode. Over the next decade, he collaborated with Ewald Mueller of the Max Planck Institute for Astrophysics to create more complex models. They fleshed out how neutrinos interact and how they leak out of the core of a collapsed star. “He built up his expertise very systematically as he attacked different pieces of the puzzle,” says physicist Thomas Baumgarte of Bowdoin College, who has known Janka for about 20 years. By 2005, Janka had developed more sophisticated code for a model that more accurately represented the shape of the star, though it was still an approximation. In this model, called a two-dimensional type, Janka refined the physics of how neutrinos moved in connection with the flow of the other matter in the star. But he lacked computer power to test the model. Then in 2006, fortune struck again. The managing director of the Max Planck Institute asked Janka if he could do anything with 700,000 euros, at the time equal to $875,000. Janka bought 96 1.282-gigahertz processors, the fastest available. “The computers worked on the problem continuously for the next three years to get one second of evolution — from supernova core collapse to 750 milliseconds after the neutron star at the center begins to form,” Janka says. This work led to the first sophisticated 2-D model of a giant star in extremis — and this time, the model star exploded. Janka’s group had worked out highly complex physical equations to describe neutrino interactions and how the gas of the star flows and bubbles, turning Wilson’s theoretical vision into a far more detailed and sophisticated simulation. Since Janka simplified the star’s shape, his model didn’t completely solve the mystery. His group is now incorporating what’s been learned about neutrino interactions into new, state-of-the-art models that don’t idealize a star’s shape. At Janka’s disposal is a fair share of the processors of two huge supercomputers, one in Paris and one in Munich, with the power of 32,000 workstations: Together, they can calculate more than 100 trillion operations per second. But Janka finds himself once again at the outer limit of computing power. These 3-D models, he says, are in their infancy and don’t yet explode. 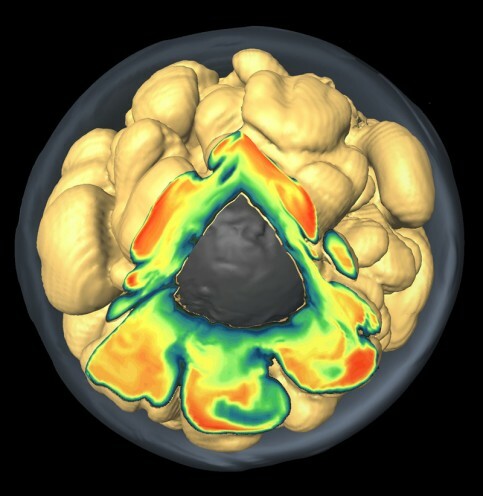 Janka’s group recently won a five-year, $4 million grant to give the 3-D model higher resolution and to push the simulation “backward in time, and also forward, linking the model to observed supernova remnants,” he says. Janka “is doing the leading work” in this highly competitive field, says supernova pioneer Stanford Woosley of the University of California, Santa Cruz. Groups at Princeton University and Oak Ridge National Laboratory, he says, are also within reach. “Victory will go to the one who gets the 3-D model of a 15-solar-mass star [the size of 15 suns] to explode with the right energy,” says Woosley, since that’s the size of star that can synthesize elements important for life. That’s ultimately the allure of these fiery enigmas. “The oxygen we breathe, the iron in our blood, the carbon in plants, the silicon in the sand — all the matter that makes up you and the Earth is made and distributed by supernovae,” Janka says. We are all star descendants, forged from matter created hundreds to thousands of light-years away in a titanic explosion where a reticent ghost particle finally, violently, made its presence felt. One part of the Enriched Xenon Observatory is held in a clean room during construction. Several major experiments around the world are designed to catch the elusive neutrino in the act of not showing up. 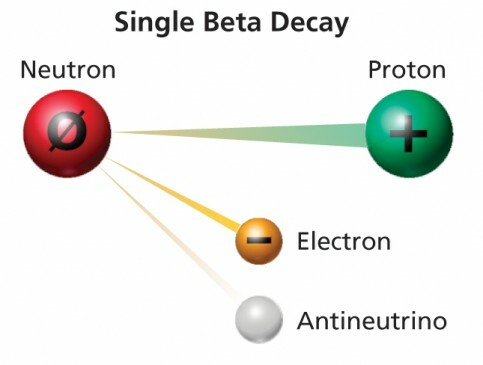 In a radioactive metamorphosis called single beta decay, a neutron (a neutral particle) in the nucleus of an unstable atom spontaneously turns into a proton (a positive particle) and emits an electron and an antineutrino — the antimatter twin of a neutrino. 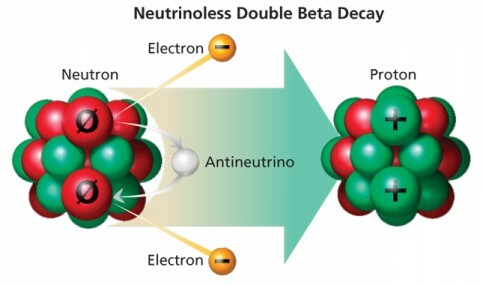 In double beta decay, the interaction is doubled: Two neutrons simultaneously decay into two protons. However, instead of producing two electrons and two antineutrinos, as one might expect, physicists such as Giorgio Gratta of Stanford University suspect that in some instances, no antineutrinos are emitted. That can happen only if neutrinos are their own antiparticle, in which case an antineutrino would be emitted by a neutron and then — presto! — absorbed as a neutrino by a neutron. The discovery of the neutrino’s double anti-identity, although expected by many physicists, would contradict the standard model of particle physics, the current mainstream understanding of the way particles and fundamental forces behave, necessitating a paradigm-shifting extension. If the decay of an unstable atom produces two electrons but no antineutrinos, physicists will have found decisive evidence for this elusive, eccentric behavior. Experiments in the United States, such as the Enriched Xenon Observatory 200 (EXO-200) in New Mexico, as well as ones in Japan and Europe, are trying to catch a glimpse of this fantastically rare interaction. “People have been trying to find this critical decay for a long time,” says Gratta, the lead scientist at EXO. Built in a zinc mine near Hida, Japan, the Super-Kamiokande (Super-K) experiment has been searching for telltale flashes of light in a 50,000-ton tank of the purest water on Earth since 1996. When a low-energy neutrino or antineutrino from a supernova collides with a water molecule in the tank, the resulting light signal is recorded by about 100 of 13,000 photomultipliers, ultrasensitive light-detecting devices that turn a tiny flash of light into a larger recordable burst of electricity. But sometimes, false positives occur: Radioactive decays in the detector also create light, as do neutrinos produced in the atmosphere when they collide with the water. 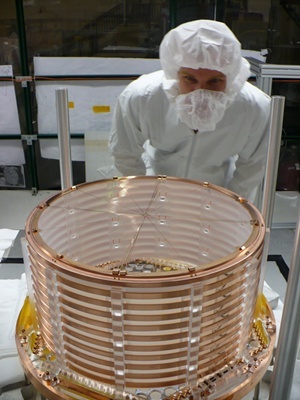 The Super-K’s detector houses 13,000 photomultipliers that help detect the smallest trace of light from neutrino interactions. Now, Super-K scientists plan to silence the false positives using a method suggested by physicists John Beacom and Mark Vagins that focuses on the antineutrinos that supernovae produce. They’ll add 50 tons of the rare earth metal gadolinium to the water in Super-K, allowing them to tell the difference between encounters with antineutrinos and other light-emitting pretenders. When an antineutrino knocks into a proton in the Super-K water, that proton turns into a neutron and instantly emits a positively charged particle that gives off blue light as it rapidly moves through the water. The gadolinium would capture the neutron about 20 microseconds after it’s created, taking it into its own nucleus and leading to the immediate burst of gamma rays. 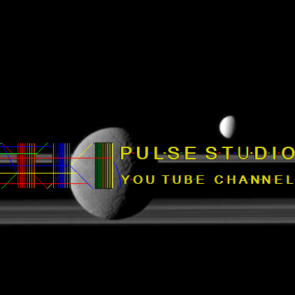 The photomultipliers capture the whole sequence. No other particle interaction would lead to that one-two “heartbeat.” The light in each beat reveals two things: The first flash indicates the energy of the antineutrino; the second confirms that the particle was an antineutrino. “Currently, Super-Kamiokande can detect neutrinos from supernova explosions anywhere in our own Milky Way galaxy,” says Vagins, of the Kavli Institute for the Physics and Mathematics of the Universe. “Adding gadolinium will make the detector vastly more sensitive, which will enable Super-K to begin collecting antineutrinos from supernova explosions anywhere within half the known universe.” That would include lower-energy, harder-to-detect antineutrinos created by massive stars that exploded billions of years ago. Adding gadolinium would “allow us to determine the total energy and temperature of an average supernova, two key inputs in all kinds of cosmological and stellar evolution models,” says Vagins. Called GADZOOKS! — for Gadolinium Antineutrino Detector Zealously Outperforming Old Kamiokande, Super! — the enriched detector, expected to go online in 2017, will also have a better chance of catching the birth of a black hole in the remnants of an exploding star. Neutrinos can’t escape from black holes, and the supersensitive Super-K will be able to detect a telltale stream of neutrinos that suddenly shuts down. “Super-K would be able to see a black hole form minutes or even hours after the initial core collapse. … Without gadolinium, it will be limited to 10 seconds or so,” says Vagins. 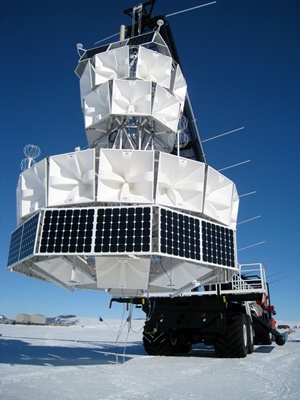 The balloon-borne experiment ANITA (Antarctic Impulsive Transient Antenna) heads to the heavens at the end of this year. 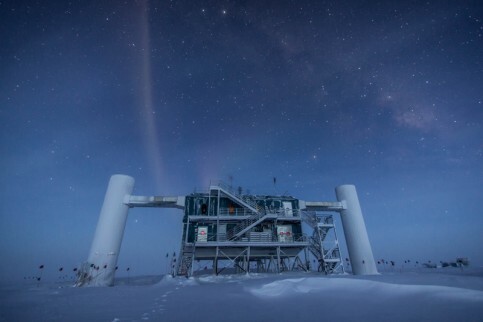 It will try to detect the sources of the highest-energy neutrinos in the universe. These neutrinos are thought to result from ultrahigh-energy cosmic rays crashing into the low-energy invisible photons left over from the Big Bang that still suffuse all of space. What sort of phenomenon creates and launches the cosmic ray sources of these neutrinos? Perhaps a hypernova — a “supernova on steroids” — or a rapidly spinning black hole or, more likely yet, a supermassive black hole, says physicist Peter Gorham of the University of Hawaii, the project’s lead investigator. The NASA-funded balloon will be 35,000 meters over the Antarctic ice cap. Circling the South Pole, ANITA’s antennas will scan a million cubic kilometers of ice at a time, looking for the telltale radio waves emitted when an ultrahigh-energy neutrino hits a nucleus in ice. It will be ANITA’s third voyage. The NOvA experiment contains 28 detector blocks 51 feet tall and 51 feet wide, in Minnesota. The 503-mile trip from Fermi National Accelerator Laboratory in Illinois takes a neutrino 2.7 milliseconds. Last year, physicists began shooting 150 trillion neutrinos per second from the Fermi National Accelerator Laboratory, west of Chicago, to a detector in Minnesota — a 503-mile underground trip that will take them just 2.7 milliseconds. 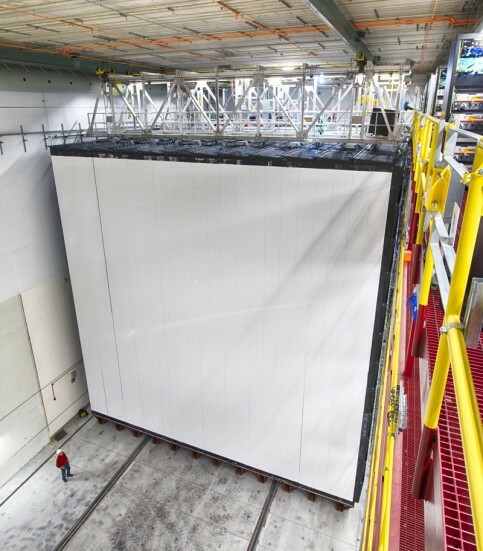 Called the NuMI Off-axis Electron Neutrino Appearance experiment, or NOvA, the project relies on a 15,400-ton detector containing 3 million gallons of a liquid solution with a material known as a scintillator. Scintillators absorb the energy of incoming particles and emit that energy in the form of light. Of the torrent of particles Fermilab sends, only about 10 neutrinos interact with the scintillator each week. But the result will be a light signature that reveals the neutrino’s flavor and energy. 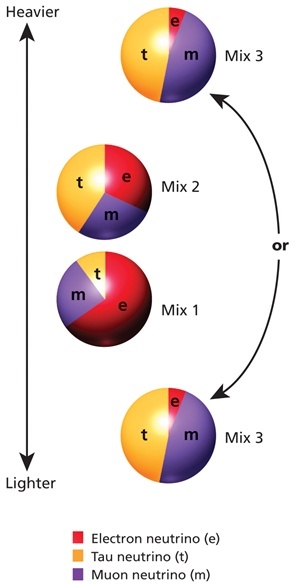 One of NOvA’s goals, Messier says, is to help figure out which of the three mixes of neutrino flavors is heaviest and which is lightest — their so-called mass ordering. Mass is a fundamental but mysterious property of neutrinos that affects many physics theories because the origin of neutrino masses is still unknown. The NOvA neutrinos will start off as muon flavor, but then do their typical transforming act into electron neutrinos. Electron-flavor neutrinos are special because they can interact with the Earth: They alone can meaningfully interact with electrons in atoms. The key for NOvA is that the greater the mass of the electron neutrino flavor, the more likely the beam of neutrinos will interact with the hundreds of miles of matter they cross on the way to the detector. “Because the electrons in the Earth ‘drag’ on the electron neutrinos, that effectively gives the electron neutrinos some additional mass,” says Messier. That effect determines the neutrino’s transformation rate. If electron neutrinos tend to have the lightest mix of masses, the added heaviness from its earthly interactions would make it change to muon neutrinos at a higher rate because it would “mix” or “overlap more” with the muon masses, as Messier puts it, referring to the wavelike behavior of these particles. On the other hand, if the electron neutrinos contain the heaviest masses, then the additional Earth-induced mass would make them mix less with those of the other two neutrino flavors. NOvA is also doing the experiment with antineutrinos, which offer a valuable comparison, Messier says. And it might give a hint of whether neutrinos and antineutrinos morph at different rates, yet another unusual neutrino property that would not be totally unexpected. 1988: Leon Lederman, Melvin Schwartz and Jack Steinberger win the Nobel Prize in Physics for developing a way to generate beams of neutrinos in a particle collider and for discovering the muon neutrino. 1995: Frederick Reines wins a Nobel for detecting neutrinos for the first time in a 1953 experiment dubbed Project Poltergeist. Clyde Cowan, his collaborator, had died 21 years earlier. 2002: Ray Davis earns the prize for detecting neutrinos from the sun using 600 tons of dry-cleaning fluid in a giant underground tank in South Dakota. Davis shared the Nobel with Masatoshi Koshiba, who used the gigantic Kamiokande detector in Japan to confirm Davis’ results and to capture neutrinos from a supernova that exploded in a neighboring galaxy.